We have consistently nurtured industry expertise delivering Premium quality products like laminated HDPE, Unlaminated HDPE woven fabric, Laminated/Unlaminated/HDPE woven bags and sacks with liner, clear woven Sheets (Natural woven laminated sheets) & LDPE films. Consonantly keeping ourselves abreast with the Latest market trends & requirements has enables us to incorporate new ideas. We are involved in providing a quality assured series of Poly House Film. Producing half-hardy perennials or bedding annually grown from seed both during sowing and pricking out. Protect tender plants and bulbs during the winter months. Grow hobby plants such as chrysanthemums, fuchsias or exotic orchids. Use it for commercial purposes. The determination of the most cost-effective method for limiting greenhouse humidity. The development of a new and effective way of controlling plant irrigation, which could have an application on open field cultivation as well. 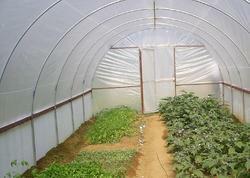 Tuning heating system efficiency with the phase of the protected crop. Standardisation of conventional sensors and development of new sensing techniques to enable "quality control" in prime production. Advanced concepts of Information technologies to provide a vehicle for speeding up the transfer of research results to practice. The development of a method of predicting plant water and nutrient requirement based on easily measured weather variables. A significant advance in the simulation techniques used to predict the environment in cropped enclosures. Innovative sensing of plant physiological responses, including early non-visible symptoms of disease onset. The development of on-line techniques for the real-time optimisation, cost vs quality-grade, of controlled conditions. A reduction in pollution caused by the fertiliser contained in excess irrigation water drained to the soil. Reduction of crop protection chemicals (reaching the consumer directly through the product and indirectly through the environment) by controlling humidity, early detection of diseases, and finely controlled closed irrigation systems. We are the leading manufacturer of Construction Plastic Film and our product is made of good quality. 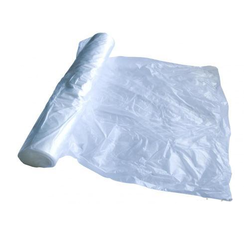 e are a one of the leading company, engaged in manufacturing and offering a high quality assortment of LLDPE Bags. These bags are manufactured by using high class raw material in accordance with the defined industry norms. 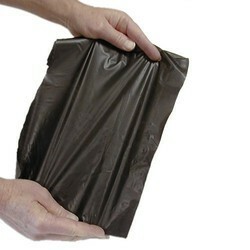 These offered bags are tear-resistant in nature and are acclaimed for smooth finishing. 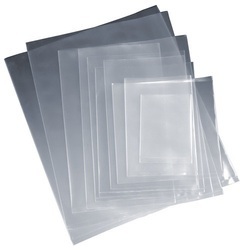 Film & bags are being made as per the needs of the company depending upon various specifications of the product. 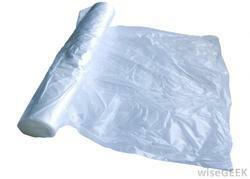 Our offered array of LLDPE Bags can be availed from us at market leading prices. Usage Water storage, Covering, Water barrier etc. 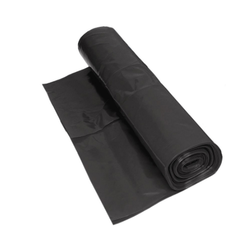 Tarpaulin made from LDPE (Virgin or Reprocess) Material is called as LD Tarpaulin. It is also known as word like Panni, Tirpal, Poly Paper, Barsati, Plastic LD, etc. The offered low-density polyethene sheet is very commonly used for covering food grains, cotton, fertilisers, cement and chemicals.